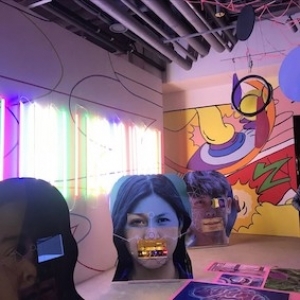 In the basement of the K Museum of Contemporary Art (KMCA) lies its latest exhibition stylishly titled “Museum Therapy: Dear Brain”. Relaxing your brain through audiovisual stimuli is the purported intent, advertised with colorful photo spots and meditative background music. Unfortunately, my brain did not enjoy the experience. The Black Skirts, a Korean indie rock band with singer-songwriter Hyu-il Jo as its only member, came back on February 12 with a new album, THIRSTY. 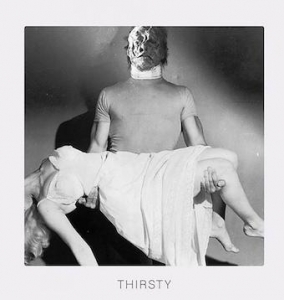 As the second part to the artist’s “love trilogy”, which aims to explore the different aspects of what one may define as love, the 12 songs focus on the “shameless and grotesque” side of affection. “Difference and harmony is what creates passion”. 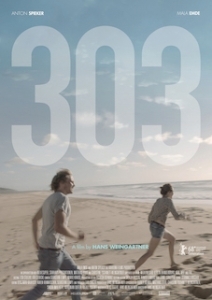 Jan’s explanation of love captures the essence of the film 303 that was released in Korea on March 14. 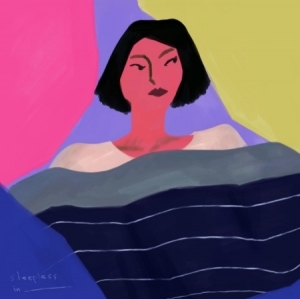 “Do you have trouble sleeping”, asks the robotic voice introducing Epik High’s comeback album sleepless in __________. The newest album by the alternative hip hop group composed of rappers Tablo and Mithra Jin and DJ Tukutz is dedicated to all those insomnious and troubled. 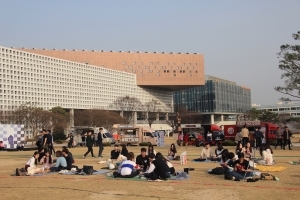 The Seoul Arts Center is known for hosting prized musicians and presenting some of the finest musical performances in Korea. This time, the one that piqued my curiosity was Marc Chagall, a Jewish artist of Russian and French descent born in Belarus. While Marvel has been capturing the big screen with its cinematic universe, the Netflix counterpart has been steadily growing as well. At times, there is the occasional film that stirs the imaginative gears in my head into action like reading a good book. ·[Culture] Films about "First Love"
Late last month, the movie On Your Wedding Day was released. The Korean War is a fresh piece of history for Koreans that only adds a chapter each day. As such, this 65-year-old frozen conflict has been the subject of various forms of media, with the film industry carving out an entire genre for itself. Cinematic universes are like mankind’s search for a maritime route to India. People just found the amazing spice of cinematic universes, and now producers and directors are racing to find the sea route that will be their Cape Route. The Miracles of the Namiya General Store revolves around the concept of “guidance”. In the novel, there is no protagonist, antagonist, or a deus ex machina. All the characters rely on others to guide them through their paths. Imagine a life without any light — nothing but darkness. It is a reality that most of us will never experience, but it is something that we can experience through an exhibition — Dialogue in the Dark. 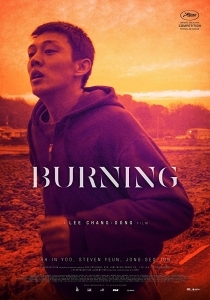 Gonjiam is an above-average spring horror film that successfully managed to break a few typical horror-film tropes while maintaining all the terrifying aspects of the genre. When Breath Becomes Air is a raw and unparalleled story about a successful, young neurosurgeon’s struggle with life and meaning and his sudden confrontation with death. Spring. The season of life. The season of love. The season of warmth. And most interestingly, the season of festivals. The truth is, gamers are liars. 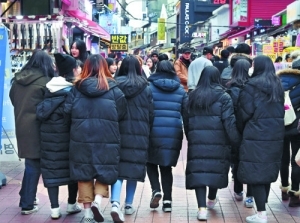 During this winter, the streets were full of black, caterpillar-shaped coats, a trend that presumably started from the sale of the affordable yet extremely warm coats by Lotte Department stores as Olympic souvenirs. The rise of viral video challenges on the internet (usually on the video-sharing platform YouTube) over the past decade has generated much fun, some good, and a whole lot of bad. Because of these previous crimes of Square Enix, when a PC port of Chrono Trigger was announced, many gaming communities were worried and, unfortunately, rightly so. Have you ever felt like you don’t fit in? Perhaps you’ve been upset at yourself or the world around you for not being on the same wavelength.